When is The Right Time to Offer a Sales Demo? When is the right time to offer a sales demo? 4 tips. Good luck finding the sweet spot – that perfect time to give a potential client a live product sales demo. There is no formula for this important step and presenting your sales demo too early or too late could be the difference between a sale and a loss. Sales engineers need to be flexible, patient and prepared, as each customer requires a slightly different approach that can evolve over time. Do you often find yourself swinging and missing? 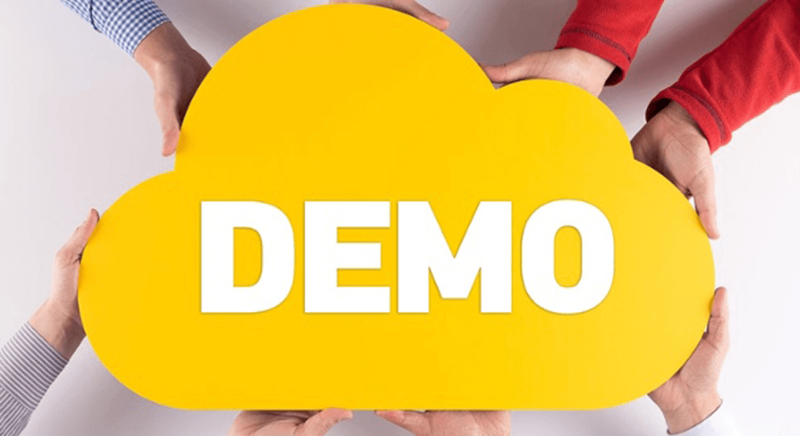 CloudShare compiled a list of four important tips that can help you identify that perfect moment for a sales demo presentation no matter the clients or their needs. Remember that trip to India last year? You may have stayed in a nice hotel and soaked in the pool as often as possible, but you also became slightly more aware of a different culture, and different people on a journey entirely different than your own. Approach your potential buyers in a similar way by understanding where they stand in the buyer’s journey. While it’s almost always a bad idea to present a demo during your first discussion with a client, it’s critical in that time to grasp how they found your product and how he/she hopes to utilize it. The potential buyer most likely wants several key questions answered in an explorative process that eventually leads to the solution that meets their needs. Sort of like an advanced version of the theory “the customer is always right,” it’s recommended that you’ll see an increase in sales when you genuinely put the interests of your customer over your desire to make a sale. Make sure you understand their needs and show them how your product is a match for those specific issues… or not. Oh, and don’t forget to use the word “if.” Be open and transparent. There are several methods that can be used to learn more about your customer, from Neil Rackham’s SPIN (situation, problem, implication and need pay-offs) Method, to Matthew Dixon’s Challenger Method, which requires a more aggressive mindset. This is Google. Google shows you ads that are relevant only to your interests instead of spamming you with irrelevant products and services. Be like Google. Target a specific customer base by developing an in-depth understanding of what purpose your product serves in the market and through that, form a customer profile. There’s no need to present your demo to everyone who contacts you. If the client doesn’t fit your company’s needs, move on. Just as the potential client wants to know if your product fits their needs, it’s equally as important to make sure their needs fit your product.